Apple growers can put recent pest identification research to good use this spring as they scout their orchards for troublesome insects. The farmer-driven Northern New York Agricultural Development Program funded a collaboration by Cornell University faculty and laboratory personnel and Cornell Cooperative Extension educators to scout regional orchards, identify apple pests, and enter real-time data into computer models to help growers more precisely target their orchard applications. Additionally, this project included orchard-based demonstrations that revitalized grower interest in integrated pest management. In 2015, 2016, and 2017, trap catch data from the Northern New York scouting missions was sent weekly through Eastern New York Commercial Horticultural Program e-alerts to growers on the activity of key pests at commercial apple orchards in Chazy and Peru, NY. Growers received season-specific information to guide their response to pests such as oriental fruit moth, codling moth, and obliquebanded leafrollers. In 2017, the research team used the infrastructure put in place by the project the year before to help growers stay alert to fire blight that occurred at an unprecedented epidemic level in the Champlain Valley in 2016. Very few new infections were reported in 2017, and of those reported several were identified as false alarms. In orchards where it was present, growers effectively managed the bacterial disease that destroys apple blossoms, shoots, and, sometimes, entire trees. Researchers are compiling a Northern New York apple pest database to document pest trends over time. Recent apple research reports are posted under the Horticulture tab on the Northern New York Agricultural Development Program website at www.nnyagdev.org. Funding for the Northern New York Agricultural Development Program is supported by the New York State Senate and administered by the New York State Department of Agriculture and Markets. The results of past projects funded through the Northern New York Agricultural Development Program are posted atwww.nnyagdev.org. Do you own or manage a farm in New York? Please take the Survey of Farm Labor Management Practices. Your feedback will help the Labor Ready Farmer’s Project develop educational programs and tools to improve farm labor management skills and decision-making. Participants can enter to win either a $100 gift certificate to Tractor Supply or a free Cornell Small Farms online agricultural course of their choice in the coming year. One winner will be selected for every 50 participants. Please take the survey and share this link with coworkers, farmers, and farm owners you know: www.tinyurl.com/farmlabormanagement. If you have any questions, please contact Kat McCarthy (kmm485@cornell.edu; 607-255-9911). To learn more about the project, please visit the Labor Ready Farmer website. Join us for our April lunchtime webinar series featuring the best of the Good to Great in Ag Labor Management Program. Each webinar will take about 20 minutes and provide tips and resources to help you get off to a great start with your employees this spring. Pre-registration is required but the program is free. All programs run from 12:00-12:30. You are welcome to attend all of the dates below, or pick and choose the topics that are most useful to you! The link to the first webinar will be sent to you after you register. You can also listen and participate by phone if you do not have access to a computer. Registration information can be found here: https://enych.cce.cornell.edu/event.php?id=925. 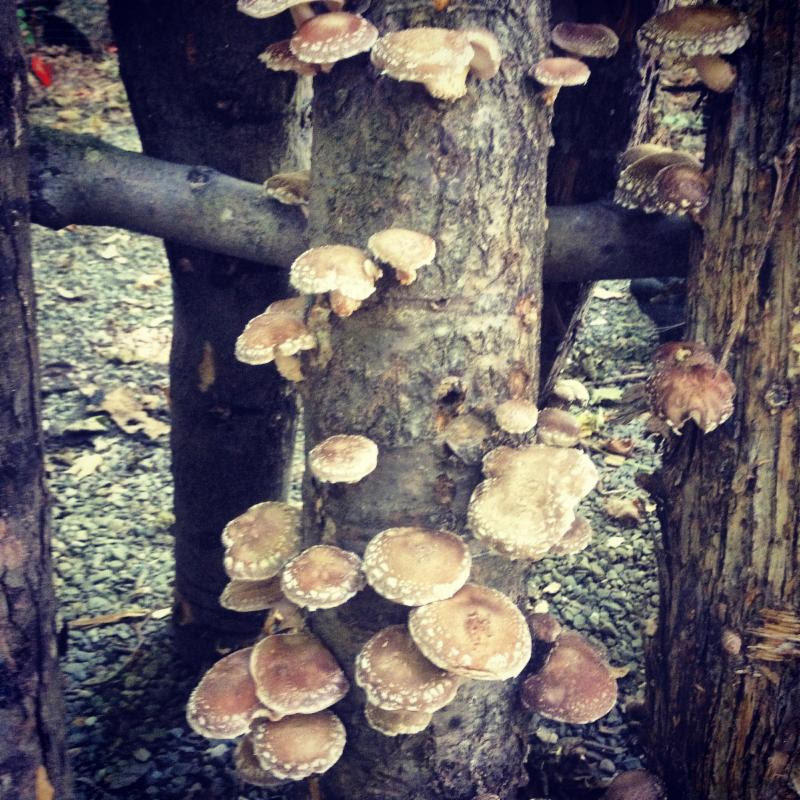 The Cornell Small Farms Pro gram is seeking farmers who have grown and sold specialty mushrooms commercially during 2017 in the states of Maine, Vermont, New Hampshire, Connecticut, Rhode Island, Massachusetts, New York, New Jersey, Maryland, Delaware and Pennsylvania to respond to a survey about their harvest numbers, sales, and marketing strategies. The goal in collecting this information on an annual basis is to keep a pulse on the state of specialty mushroom cultivation by small farms in the Northeast USA. Answers to this survey will be kept confidential, and no individual responses will be shared publicly. In addition to collecting sales and production data, we are also interested in capturing the research and education needs of the mushroom growing community. Please share your thoughts and ideas when prompted. After compiling the results, the program will offer a summary of the data via a public webinar, which can be useful to a number of individuals and institutions for granting, market assessment, and other uses for a growing industry. Any questions can be directed to Steve Gabriel at sfg53@cornell.edu. March 16, 1-4 pm, Wayne County – more information can be found in the event announcement or on the registration website. March 17, 1-4 PM, Orleans County – more information can be found in the event announcement or on the registration website. Local and Regional Food Systems at Cornell recently launched a new, dynamic LRFS website to better demonstrate, strengthen, and build the network around local & regional food systems in New York State. Learn about the network of people, projects, resources, and locations of their work, connect with others who are working on food system issues; participate in events or online forums; share info on your Cornell or CCE based programs in LRFS; and explore CU/CCE expertise across various areas of local food systems work. In essence, LRFS is sharing your stories to better leverage your work, to help you stay connected, and to strengthen their impact in local & regional food systems. Nominate someone, including yourself, for a spotlight interview. Or, upload your own here! Do you hire, or are you considering hiring, migrant or foreign-born labor? Do you want to improve your skills in supervising employees who come from different cultures, especially workers from Mexico and Central America? If yes, this workshop is for you! On April 12 from 11:30am-5:00pm, learn how to build better relations between farmers and workers and how to establish meaningful communication across cultures and language barriers. Mary Jo Dudley, Director of the Cornell Farmworker Program, will discuss how to create positive workplaces and reduce miscommunication and culturally-based misunderstandings. Other speakers will address access to health services, opportunities for English language learning, and tips for worker and employer emergency preparedness. If you are unable to register online, contact Abby Henderson at (518) 746-2553 or aef225@cornell.edu. Do you manage employees on a farm? Do you need help recruiting and retaining good staff? Please take this brief survey and share important feedback that will help shape our new Labor Ready Farmer project. Growing a great workforce can result in long-term benefits for your business. Share your management challenges and successes to help us better understand how to develop effective program tools, such as online courses and videos, plain language guides, and workshops. Participants can enter to win either a $100 gift certificate to Tractor Supply or a free Cornell Small Farms online agricultural course of their choice in the coming year. One winner will be selected for every 50 participants. Learn about existing efforts and events, including the Improving Ag Labor Management Workshop series, at the Labor Ready Farmer webpage. For more information, contact Kat McCarthy (kmm485@cornell.edu, 607-255-9911) or Anu Rangarajan (ar47@cornell.edu).